Frame-by-frame animation of the popular video game and upcoming film Assassin's Creed using hand-drawn illustrations by Singapore-based designer Serene Teh, aka saggyarmpit. 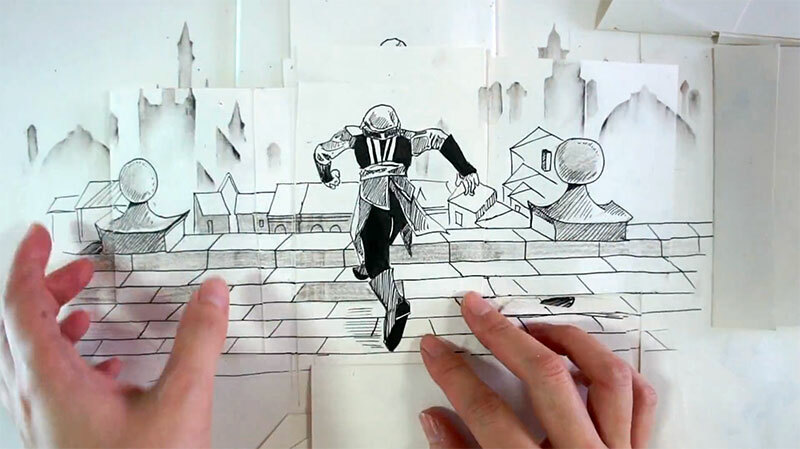 The animation was done by drawing the figure on layers of paper and flipping the paper to create movement, while recording the action with a handheld camera. The video was sped up in Adobe Premiere to make the movements more fluid. See more of Serene Teh's work at her website or on Instagram. Frame by frame animation of the popular video game and upcoming film Assassin's Creed using hand-drawn illustrations by Singapore-based designer Serene Teh, aka saggyarmpit.